So close, yet so far is the best way to describe the 2017 Major League Baseball season for the Los Angeles Dodgers. The Dodgers enjoyed one of their finest seasons in franchise history as they won 104 games during the regular en route to their fifth consecutive National League West Title. The Dodgers were also ableto exercise some postseason demons as they were able to win the N.L. Pennant for the first time since 1988. But in the World Series, the Dodgers were unable to grab that elusive title as they fell in heartbreaking fashion to the Houston Astros in seven games. As close as the Dodgers were, getting back to the World Series for a second consecutive year will be difficult, but will they also be able to maintain their grip on the top spot in the National League West? Dave Roberts is set to begin his second season as the manager of the Dodgers as he was able to push all of the right buttons in 2017. Roberts is a sabermetrics guy which has allowed him to be on the same page with the Dodgers president of baseball operations Andrew Friedman, as well as team general manager Farhan Zaidi. The Dodgers were a team that paid attention to detail last season, while they never looked back in the National League West after they went a combined 40-16 during the months of May and June. The Dodgers had some luck on their side that was able to mask some of the team’s flaws. However those flows could come to the surface in 2018. The Dodgers team earned run average of 3.38 was tops in the National League, and a big reason for that were due to the exploits of starting pitcher Clayton Kershaw. In 27 starts for the Dodgers, Kershaw was once again one of the best pitchers in the game as he went 18-4 with an earned run average of 2.31. Kershaw fell short of winning the NL Cy Young Award for the fourth time as his sloping curve ball is so difficult to deal with. But as Kershaw turned 30 this month, the Dodgers should be worrying about the injury bug for him. Kershaw has missed a combined 18 starts over the last two seasons which comes on the heels of him throwing 232 innings in 2015. 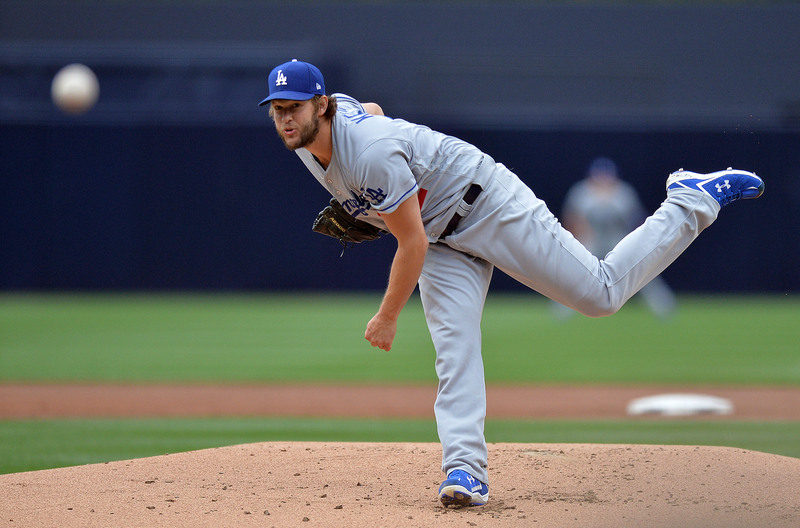 Throughout Kershaw’s career he has gotten better as the season progresses, but this time around you can expect Roberts, along with Dodgers pitching coach Rick Honeycutt to focus more on Kershaw’s usage as the season goes along in order to keep him fresh for another potential playoff run. Last year starting pitcher Alex Wood came out of nowhere to win 16 games which was second for the Dodgers, but will he be able to sustain it? Even at the age of 27, Wood is still developing into a solid professional pitcher. Wood’s curveball continues to improve as he has leaned on Kershaw and pitching coach Rick Honeycutt for guidance. And with that Wood should once again be able to give the Dodgers a solid season. But overall the Dodgers have not improved the rotation depth behind Kershaw which won’t impede their chances of winning the National League West, however it could once again be a problem for them in October. Relief pitcher Kenley Jansen continues to be one of the best closers in baseball as he has saved 221 games over the last six years, and the movement on his pitches will once again give hitters problems in the ninth inning. The Dodgers have several solid middle relievers which includes relief pitcher Josh Fields, but the team’s starting rotation must be upgraded in order to not overuse this unit before the season ends. En route to winning 104 games last year, the Dodgers were surprisingly 13th in the National League in hits. However the Dodgers made the most of those hits as they were second in the N.L. in doubles (312), fourth in home runs (221), as well as slugging percentage (.437). Last year as a rookie, first baseman Cody Bellinger was as good as advertised. Bellinger blasted 39 homers, while driving in 97 runs en route to keeping with the Dodgers tradition of producing National League Rookie of the Year Award winners. However something to keep an eye on with Bellinger will be him looking to avoid the dreaded “sophomore slump”; especially since he’s prone to striking out. Last season in 480 at-bats, Bellinger struck out 146 times; mainly on breaking pitches. And Bellinger will have to work on his plate discipline as pitchers will keep attempting to entice him with pitches outside of the strike zone. After shortstop Corey Seager won the National League’s Rookie of the Year Award in 2016, he was able to avoid the sophomore slump as he batted .295 with 22 homers and 77 runs batted in last year. Seager is a cool customer at the plate as he is unflappable, while his defense continues to improve at shortstop. Seager cut down his errors from 18 in 2016 to 11 last year, and if Seager continues to improve his defense, he could get into the conversation in regards to winning a Gold Glove. Outfielder Yasiel Puig has been enigmatic throughout his time with the Dodgers as you simply never know what you are going to get from him. Last season Puig was on his best behavior and in the process he was able to hit a career-high 28 homers, while driving in 74 runs which was also a personal best. However Puig can go from good to bad in the drop of a dime which makes him the ultimate x-factor for this team. In four seasons with the Dodgers, third baseman Justin Turner has become the team’s most consistent hitter at the plate which was evident by him being the National League Championship Series MVP last October. Turner has developed into a good contact hitter who is difficult to strike out. In 130 games last year, Turner only struck out 56 times, while he drew 59 walks. Turner is now 33, but I don’t see his bat speed slowing down which means that he should having another solid season at the plate which means that he’ll hit at least .300. The Dodgers will also once again get key contributions from catcher Yasmani Grandal and utility man Chris Taylor, while they also welcomed back a familiar face in outfielder Matt Kemp. In 2011, Kemp finished second in the National League MVP voting to Milwaukee Brewers outfielder Ryan Braun. Kemp batted. 324 with 39 home runs, 126 runs batted in, and 40 stolen bases which led the Dodgers to giving him an eight-year extension for $160 million. But unfortunately for Kemp and the Dodgers, he was never able to replicate the success that he had in 2011, and subsequently he was traded to the San Diego Padres in 2015. However the Dodgers re-acquired Kemp from the Atlanta Braves this off-season, and although that he won’t play everyday in the outfield, he’ll be able to provide this team with a veteran bat. Although that the Dodgers lost the World Series, they will still have a target on their backs; especially since they’ve won the National League West in each of the last five years. After six consecutive losing seasons, the Colorado Rockies came out of nowhere in 2017 to make the playoffs for the first time since 2009. The Rockies have always had offense, but they were able to have just enough pitching in order to secure the final wild card spot in the National League. But whereas the Rockies were able to fly under the radar last year, will they be able to do the same thing when they’ll be expected to contend for a postseason berth? As the Rockies play their home games in the high altitude of Denver, they continuously have one of the top offenses in the National League. Last season the Rockies were first in the N.L. in runs scored (824), and batting average (.273), while they were second in runs batted in with 793. 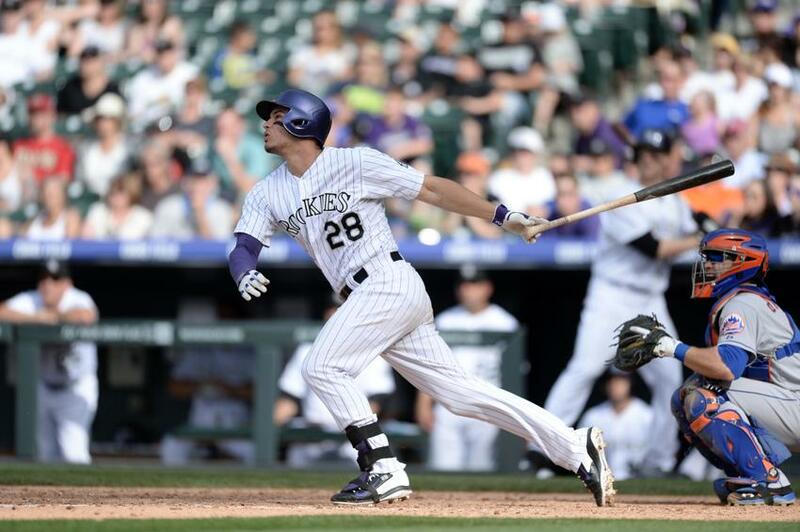 Colorado possesses some of the best sluggers in the N.L. which includes third baseman Nolan Arenado and outfielder Charlie Blackmon. In a very short period of time Arenado has become one of the best third baseman in Major League Baseball. Two of the last three Major League Baseball seasons have seen Arenado lead the National League in homers and runs batted in. Arenado has a very quick bat as that along with playing 81 games in Denver will keep him in the running in regards to being the N.L. MVP. But it just is not about offense with Arenado as he also has one the best gloves in the game at the hot corner. Arenado has won a Gold Glove Award in each of the last five years as he is a human vacuum cleaner which is something that his teammates on the mound appreciate. Like Arenado, it has been a steady climb to stardom for Blackmon. Blackmon is coming off of an MVP caliber season as he led the National League in batting average (.331), total bases (387), and triples (14). Blackmon finished finish fifth in the NL MVP voting last season as playing his home games at Coors Field along with playing alongside Arenado took votes away from him. Blackmon has morphed into being more than just a bat at the top of the lineup as he has shown the he can hit for power, as well as being able to flash the leather in center field. Blackmon has tremendous range in center field which is an important factor in Denver due to the spacious outfield there. And with free agency right around the corner for Blackmon, you can expect another big season for Blackmon. In each of the last three years infielder DJ LeMahieu has hit over .300, while he also has a solid on-base percentage. And the ability by LeMahieu to be a consistent contact hitter will keep the stress on opposing pitching staffs as well as making fantasy baseball owners happy. Shortstop Trevor Story has been a solid power hitter for the Rockies, but strikeouts are plaguing him. In just 875 career at-bats, Story has struck out 321 times which includes 191 punch outs last season. And unless Story is able to become a more disciplined hitter, he could soon be labeled as a “boom or bust” guy. Last year marked the first time since 2009 that the Rockies pitching staff didn’t finish in the lower third of team earned run average in the National League, while four starting pitchers were able to win at least 10 games. And if the Rockies are able to sustain a solid starting pitching rotation as this unit was tied for second in the N.L. in quality starts last year with 94, they’ll be able to hand off the baseball to one of the better bullpens in baseball. This off-season Rockies general manager Jeff Bridich was able to sign a pair of quality relief pitchers in Bryan Shaw and Wade Davis. The last few years have seen Shaw be a part of one of the more formidable bullpens in Major League Baseball as he helped the Cleveland Indians win consecutive American League Central Division Titles. Shaw has led the A.L. in appearances in three of the last four years and his rubber arm will be valuable for Colorado. 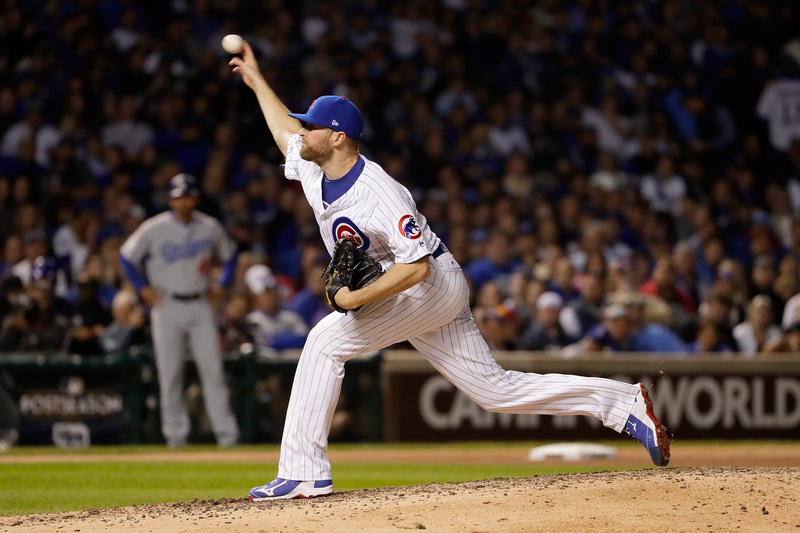 Davis has quickly morphed into one of the best closers in baseball as he was vital in the ninth inning for the Kansas City Royals in 2015 when they won the World Series Title. Davis was traded to the Chicago Cubs prior to the start of last season and he was able to record 32 saves for them en route to the franchise repeating as National League Central Division Champions. Davis has a reputation as a quick worker on the mound, while he is a strikeout artist. In 58.2 innings pitched last season, Davis struck out 79 batters, and that ability to record strikeouts will come in handy in the thin air of Denver. The National League West should once again be one of the toughest divisions in Major League Baseball as they sent three teams to the playoffs last season. And for Rockies manager Bud Black, his team should once again be able to hold its own as they look to make the postseason in consecutive years for the first time in franchise history. Just like the Colorado Rockies, the Arizona Diamondbacks are heading into the 2018 Major League Baseball season looking to build off of a surprise trip to the postseason in 2017. The Diamondbacks lost 93 games in 2016 only to reverse their fortunes to win 93 games last season. But even though that the Diamondbacks were able to get the best of the Rockies in the National League Wild Card Game, there is still one hurdle for them to clear in the N.L. West which is the Los Angeles Dodgers. The Diamondbacks went 11-8 during the regular season, but the postseason was a different animal as Los Angeles swept through Arizona. But as a new season in set to begin in Major League Baseball, the key for Arizona will be to build off of last year’s success in order to not only contend with the Dodgers for the top spot in the N.L. West, but to also reach the postseason in consecutive years for the first time since 2002. A big reason why the Diamondbacks were able to turn things around in 2017 was their ability to hit the long ball. Arizona blasted 220 homers last season which was fifth in the National League. However the D-backs lineup will look a little different this year after they lost outfielder J.D. Martinez in free agency. In just 62 games with the Diamondbacks last season after Martinez was acquired from the Detroit Tigers, he hit .302 with 29 home runs and 65 runs. But the Boston Red Sox gave Martinez an offer that he could not refuse as he will receive $110 million over the next five years. But led by first baseman Paul Goldschmidt, the Diamondbacks still have pop in their lineup. Not to sound like a broken record, but if Diamondbacks first baseman Paul Goldschmidt played in a bigger market, or on a consistent contender, he would be a household name. 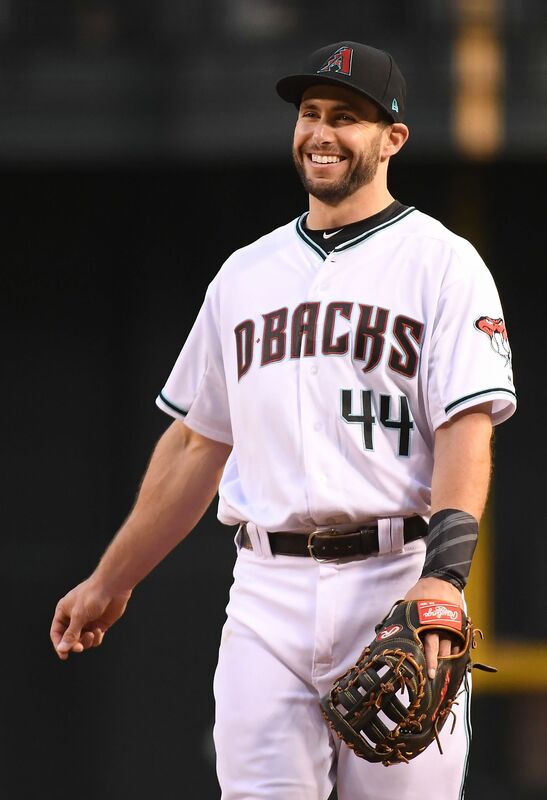 In seven years with the D-backs, Goldschmidt has averaged hitting 31 homers per season along with driving in 109 runs. Goldschmidt can also hit for average as he is a career .299 hitter, while he knows how to consistently get on base as he has posted an on-base percentage above .400 in three of the last four years. The last two seasons have seen third baseman Jake Lamb become a power threat as you can pencil him in to go yard at least 25 times during the upcoming campaign. After outfielder Yasmany Tomas hit 31 homers in 2016, the same kind of season was expected from him last year. However that was not the case as a core injury limited him to just 47 games. But the biggest thing with Tomas is that you never know what you’re going to get from him as he is another one of those players that falls into the “outhouse or penthouse” category. But if Tomas is able to bounce back in 2018, it will cushion the loss of Martinez for Arizona. The Diamondbacks were recently able to pick up some insurance for their lineup when they acquired outfielder Steven Souza from the Tampa Bay Rays. Souza will not hit for average, but he did have a .351 on-base percentage last year with the Rays, while also blasted 30 home runs which as a career-high. And now Souza’s arrival will add to Arizona’s depth in their lineup. 2016 was forgettable for starting pitcher Zack Greinke who after signing a six-year, $206.5 million contract to join the D-backs had one of his worst baseball seasons. Greinke went 13-7 with an earned run average of 4.37, while he also had a stint on the disabled list. However Greinke bounced back in a big way last year to be the leader that the Diamondbacks pitching staff needed. Greinke went 17-7 with an earned run average of 3.20, while he struck out 215 batters. But it’s not that cut and dry that Greinke will continue to be the power pitcher that he was earlier in his career. Greinke is 34-years of age and the wear and tear of being a professional athlete will catch up to him sooner rather than later. The good thing for Arizona is that Greinke knows how to pitch as opposed to being just a thrower, and having a veteran catcher in Alex Avila behind the plate will definitely help him in that category. After starting pitcher Robbie Ray lost 15 games in 2016, he rebounded to win a career-high 15 games last season. Ray struck the same amount of batters (218), and surrendered the same amount of walks (71) that he did in the previous year, but what he was able to drastically reduce the amount of hits that he surrendered as he went from 185 to 116. Ray has benefited from having Greinke around in order to pick his brain, and if he has indeed turned the corner in his career, the Diamondbacks will be a tough team to deal with. Arizona will have their hands full with a very difficult schedule to begin the season which includes a pair of series with the Dodgers in April, along with meetings with the Rockies, St. Louis Cardinals and Washington Nationals. The 2010’s have been very kind to the San Francisco Giants as they have won three World Series Championships which is tops in Major League Baseball. But after the Giants were able to make the playoffs once more in 2016, the bottom fell out for them last year. The Giants lost 98 games last season which was tied with the Detroit Tigers for the worst mark in MLB in 2017, while it was also their worst campaign since 1985. Age and injuries did in the Giants as he cohesion that led to those World Series Titles evaporated. For Giants president of baseball operations Brian Sabean, the theme this off-season has been all about rebuilding and retooling as San Francisco is seeking to put last year behind them in order to once again become competitive in the National League West. San Francisco has been active on the trade market in regards to bringing quality veterans to the Bay Area. The first big move for the Giants was to acquire third baseman Evan Longoria from the Tampa Bay Rays. By far Longoria was the best player in Rays franchise history. Longaria leaves Tampa as the Rays all-time leader in WAR (50), as well as home runs (261), and doubles (338), along with several other offensive categories. 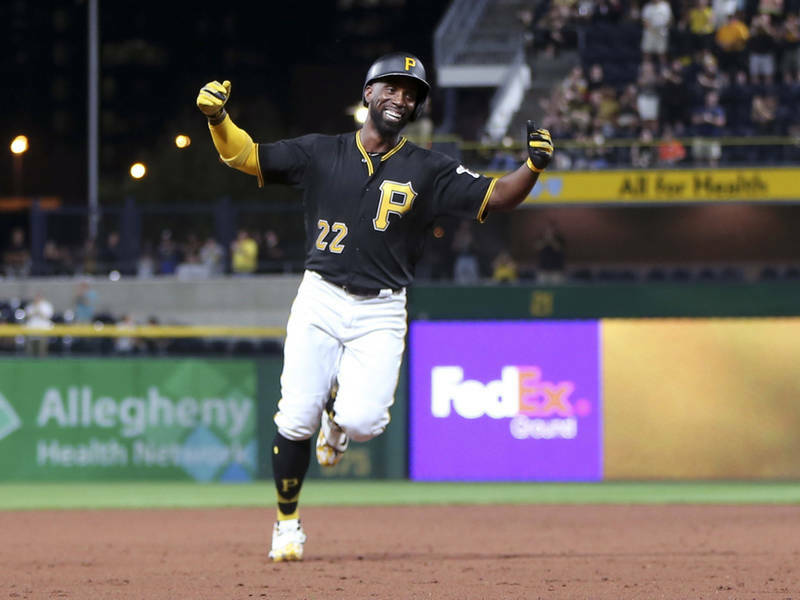 The Giants were not done there as they also acquired outfielder Andrew McCutchen from the Pittsburgh Pirates. For nearly a decade McCutchen has been the face of the Pirates franchise which included him being the National League’s MVP in 2013. McCutchen is a solid five-tool player who’s defensive range will come in handy for the Giants during their home games at the cavernous AT&T Park in San Francisco. The combination of Longoria and McCutchen should provide a spark to a Giants offense that was near the bottom of most offensive categories in the National League which included them being 14th in runs scored (639), on-base percentage (.309), and 13th in batting average (.249). Going the veteran route in their lineup helped the Giants win those three World Series Titles, and the additions of Longoria and McCutchen teaming with catcher Buster Posey should provide San Francisco with some much needed depth in their lineup. Like McCutchen, Posey is a former National League MVP, and his power numbers have dipped over the last few years. Posey will be 31-years of age at the start of the 2018 Major League Baseball season and he is no longer the power threat that he was when he was named as the N.L. MVP in 2012. The wear and tear of squatting behind the plate is beginning to catch up to Posey, which has led to him playing more at first base, and that should increase during the upcoming season. But Posey is still a solid contact hitter that has the potential to once again hit .300, and he’ll have opportunities to drive in more runs with McCutchen getting on base in front of him. However the additions of Longoria and McCutchen might not be enough to completely turnaround the Giants offense. Last year the Giants were dead last in the National League in home runs hit with just 128. That was 23 less than the next closest team in the Pirates, and the Giants did not have one player go yard at least 20 times last season. San Francisco will also need bounce back seasons from first baseman Brandon Belt and shortstop Brandon Crawford, while age and injuries appear to have finally caught up to outfielder Hunter Pence. San Francisco also had issues with their pitching staff as the team earned run average jumped from 3.65 in 2016 to 4.50 last season. The Giants problems with their pitching staff began with them not having starting pitcher Madison Bumgarner healthy for the entire year. Bumgarner was only able to make 17 starts last year as injuries that he suffered during a dirt bike accident during an off day put him out of action for nearly three months. Bumgarner’s absence was a huge blow to the Giants pitching staff as starting pitcher Jeff Samardzija led the club in victories with just 9. 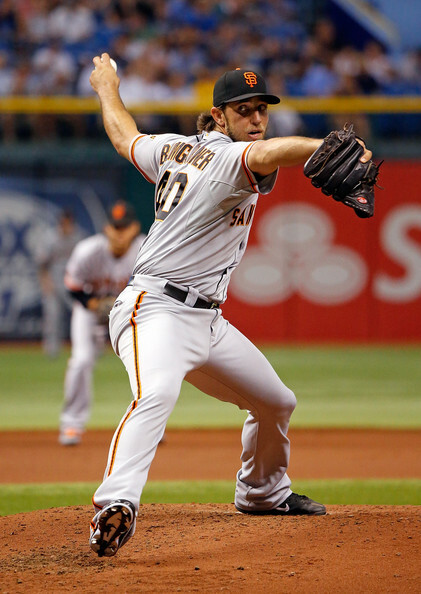 If the Giants are going to bounce back this year, Bumgarner needs to be a big part of it. At 6’5, 250 lbs., Bumgarner has an intimidating presence on the mound as that along with his sloping curve ball can make batters look foolish. Once Bumgarner returned to the Giants last year after the All-Star Game, he finished out the season strong which is something that should carry over to 2018. When healthy you can pencil in Bumgarner for at least 200 innings pitched to go along with 200 strikeouts and 17 wins which could put him in line to take home his first National League Cy Young Award this year. In 2017, San Francisco was also done in by the ineffectiveness of Samardzija and Johnny Cueto as starting pitchers. Last year marked the first time since 2013 that Cueto failed to pitch at least 200 innings. Cueto’s once electric fastball appears to have lost some steam and at the age of 32, it might be time for him to reinvent himself in order to become a pitcher as opposed to being a thrower. Samardzija is coming off of leading the National League in innings pitched with 207.2, while he also struck out 205 batters. But Samardzija must find a way to lower his 4.50 earned run average from 2017 as the framework is there for him, Bumgarner, and Cueto to be much sharper on the mound this year. For years Giants manager Bruce Bochy has had to use a bullpen-by-committee, but things could be changing this season. The Giants have a pair of solid closers in relief pitchers Sam Dyson and Mark Melancon on the roster. After Dyson had his struggles with the Texas Rangers in 2017, the Giants picked him up as a reclamation project as he is seeking to regain the magic that he had in 2016 when he saves 38 games. In 2015, Melancon led the National League in saves with 51, and if he along with Dyson are on top of their respective games, San Francisco could be in line for a solid turnaround this year. As Bochy is set to begin his 12th year with the Giants, he has always been known as a guy that has his finger on the pulse of his team. The Giants are veteran team that will enter the 2018 Major League Baseball season with something to prove after a disastrous 2017. However 10 of San Francisco’s first 12 games will be against teams that made the playoffs last October which includes a four-game set on the road versus the Los Angeles Dodgers to start the season. And a slow start will be the last thing that the Giants can afford to have. Losing baseball and the San Diego Padres seem to go together. The Padres have not had a winning season since 2010, while their last trip to the playoffs came in 2006. The Padres tasted defeat 91 times last year as they finished fourth in the National League West and the outlook for 2018 doesn’t seem much better. Andy Green is set to begin his third season as the manager of the Padres as he will look to defy the odds and make his team a playoff contender in 2018. It is going to be difficult for the Padres to compete as they will still have one of the worst offenses in the National League. Last year the Padres were near the bottom of most offensive statistical categories in the N.L. and this team will once again struggle. One bright spot for the Padres has been first baseman Wil Myers. The Padres acquired Myers from the Tampa Rays in 2014 and in three seasons with San Diego, he has become the team’s best power hitter. But there is only so much that Myers can do at the plate if his teammates are not getting on base ahead of him. Last season the Padres only scored 604 runs, with an on-base percentage of .299. The Padres were last in the N.L. in both categories, and if the offense around Myers will once again struggle, it’ll be another wasted season for him. Outfielder Hunter Renfroe was second on the team in home runs last season with 26, but he was light hitting as he only batted .231 with an on-base percentage of .284. And if Renfroe has another “penthouse or outhouse” season at the plate, it will not help the Padres improve their win total. The Padres were able to reacquire third baseman Chase Headley from the New York Yankees. Prior to being traded to the Yankees in 2014, Headley was a fan favorite in San Diego which included him finishing fifth in the National League MVP voting in 2012. But Headley’s return will give the Padres a solid presence at the hot corner, along with a veteran presence in the locker room which is exactly what this team needs. San Diego also acquired a slick fielding shortstop this off-season in Freddy Galvis from the Philadelphia Phillies. Galvis will not be an offensive threat for the Padres, but what he gives them is a solid defender as he only committed 7 errors in 155 games for the Phillies last season. Last year the Padres were 11th in the National League in team earned run average at 4.67, while their 67 quality starts was good for tenth. Starting pitcher Jhoylys Chacin led the Padres in wins last season with 13, but he left San Diego in free agency and now he is a member of the Milwaukee Brewers. Aside from Chacin, no other Padres starting pitcher won more than 8 games. And without a solid pitching staff, the Padres will get lost in the shuffle in the N.L. West. The schedule makers were not kind to the Padres as their first three opponents all had winning records last season which includes the Houston Astros who are the defending World Series Champions as 2018 has all of the making of another lost year for baseball in San Diego.